"We adopted Grace in 2011. 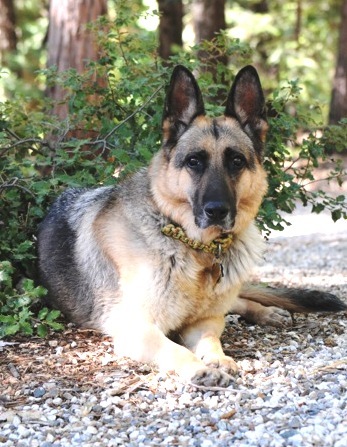 Initially nervous, she became a faithful companion to our male White GSD Sooka and, after his passing, assumed the role of our household guardian and traveling companion. We miss her terribly every single day." 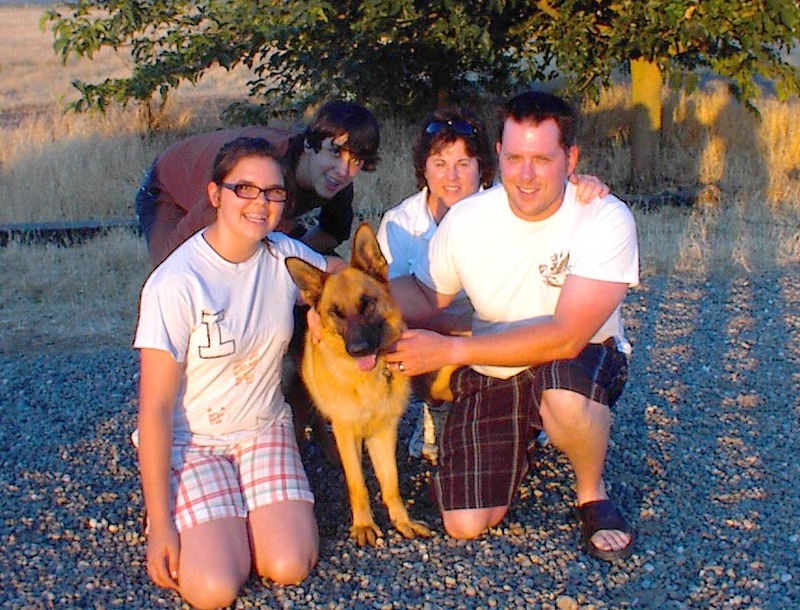 "Our sweet Koda was the center of our home and lives for over 10 years. We are so thankful for her love and companionship. She will be missed and forever in our hearts." "Lexi joined our family on 6-27-14. I was hesitant because she was an older dog (7¾ yrs) but she turned out to be the perfect fit for our family. We went backpacking, camping, on trips to hotels, car rides, breweries,and everywhere else and in between together. At first it didn't look like Lexi and our cat Night would be able to co-exist together. They got to know each other and soon became best friends. Thank you for bringing such a beautiful soul into our lives." 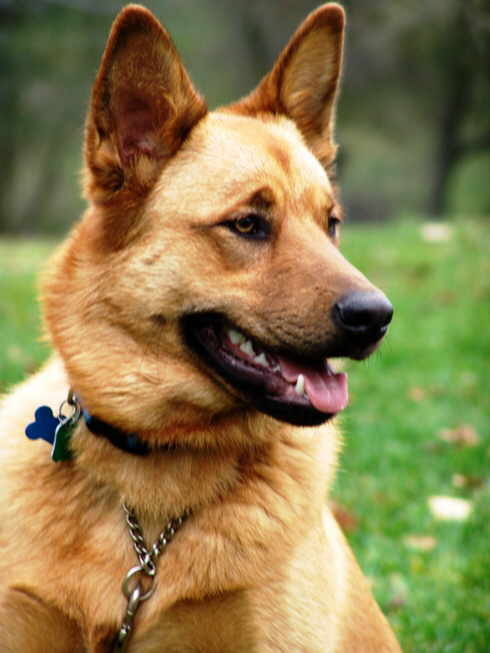 "Niner was a handsome, happy-go-lucky dog, always eager to play, go for a walk, or ride in the car. He was gentle and friendly to everyone he met and loved to be hugged. 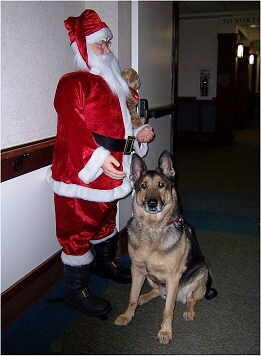 Niner was a popular visitor at the University Retirement Community, where he enjoyed being pet by residents and staff. Although my time with Niner was too short, I will remember my sweet boy forever with lots of love." Click here for Rocky's memorial. Click here for Prince's memorial. Click here for Cooper's memorial. Click here for Gelda's memorial. "I'm not su re what to say about him other than 'Best Dog. EVER.' 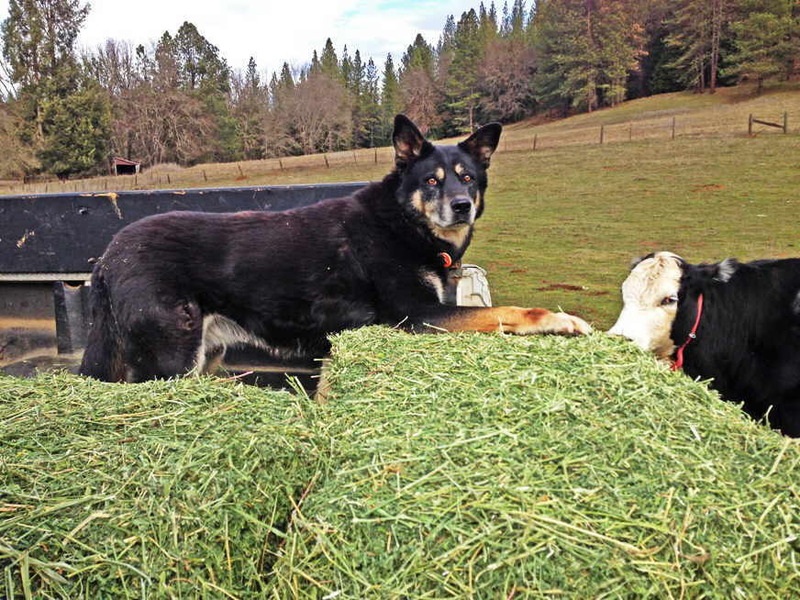 He was a gentle soul and a consummate diplomat for big dogs everywhere. He loved everyone and everything and was always described as a true gentleman. 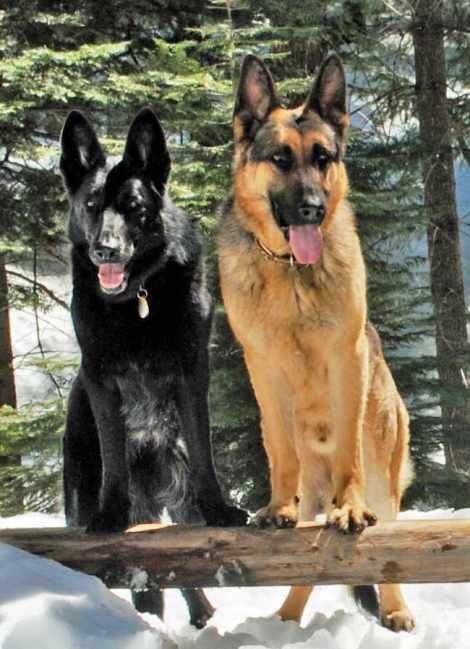 He has left a huge hole in our pack and will never be forgotten." We love you, buddy. Thank you for all your snuggles, the best hugs ever and your sweet demeanor. Click here for Malcolm's full memorial. 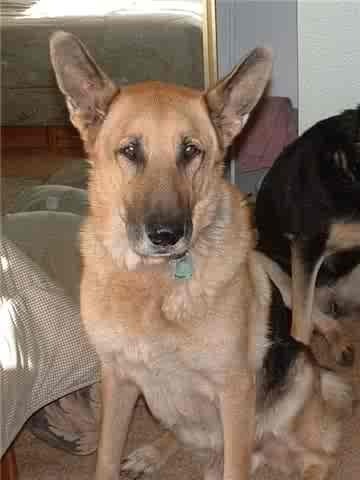 "In memory of our beautiful German Shepherd Gemma, who we rescued from a German Shepherd dog rescue in England. 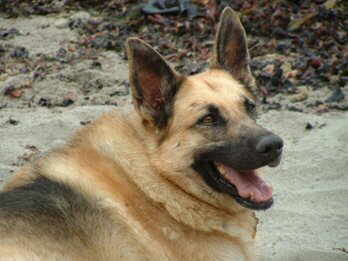 Gemma was a very special girl; we were her third and forever home. We were her pack and she loved us as we loved her. RIP baby girl." 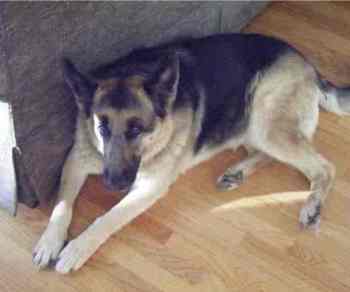 Click here for Shadow's full memorial. 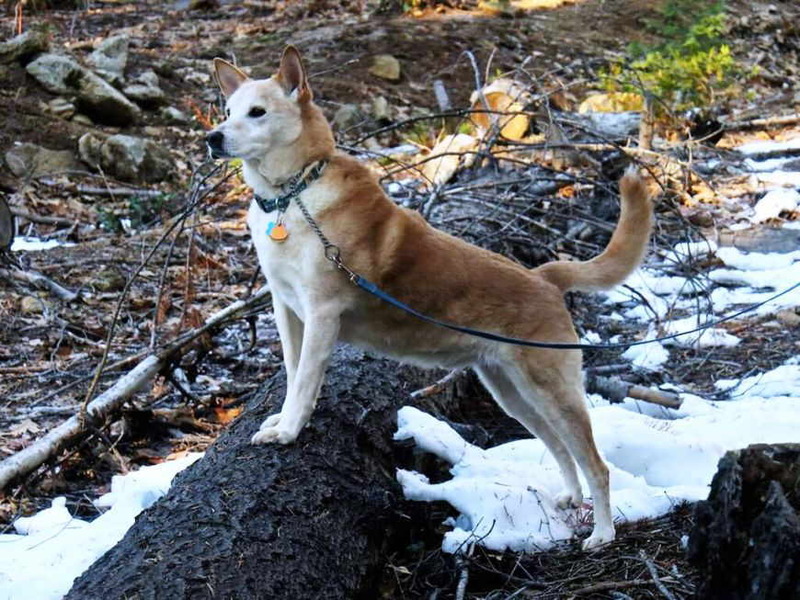 "We adopted Sugar in the fall of 2005 while living in Folsom (She jumped in the truck trying to come home with us the day we met her.) We moved shortly thereafter to Roseville where she thrived in a huge yard with open space and plenty of critters to hunt and long walks to take! She was 50 pounds of love and we are mourning her passing this week. Thank you for Sugar; she was a gift to us." Click here for Hanks's full memorial. We adopted Rodeo in November of 2003. My husband saw him on Petfinders and instantly knew that we needed him. 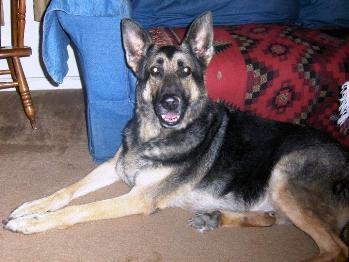 He was a great dog who instantly stole our hearts and became a member of the family, more than a pet. After a long life of walks, lake days, and playing with his "brother" Jess, we finally had to say goodbye to him in November of 2014, due to an out-of-control tumor on his leg. Rodeo was truly a Good Dog, and we miss him terribly! Many thanks to Brian for rescuing him in October of 2003, so that he could join our family. 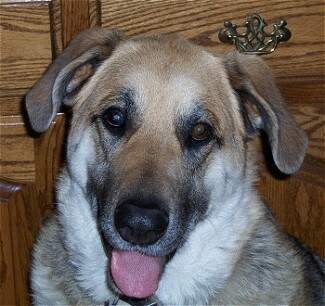 Loving adopter of Roxy (9-10-11). Foster caretaker to Aero, Emmett, Jake, Ranger, WooWoo, Scout, Kona & Mickey. Best damn friend a dog ever had--and a great friend to me (Brian Foran). Click here to see Michelle's full memorial. 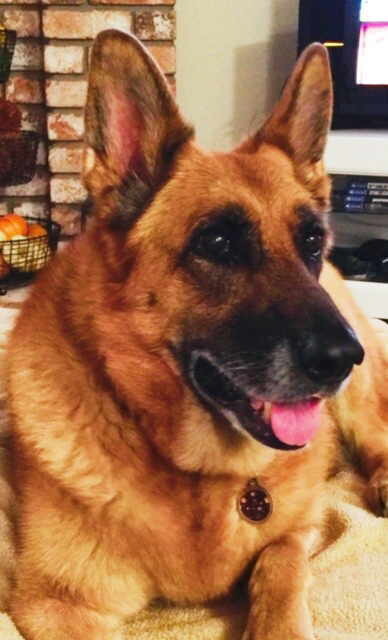 Zoe was a wonderful dog--so gentle with our kids, cats, and even bunnies, and always my faithful shadow. She was a great snack bandit- she knew how to open a plastic ziplock bag or zippered lunch box with her teeth, somehow neatly unwrap aluminum foiled sandwiches or pastries, and then leave the evidence on the floor. For a long time, Terence [Jennifer's husband] thought I was a complete slob, tossing empty ziplock bags on the floor and vice versa until we figured out it was her! She will be greatly missed by all and the house feels empty without her. Adopted June 12, 2001 by Sharon & Peter Davies of West Sacramento. Adopted April 23, 2009 by Lee & CindySharp and family of Stockton. Ken Gaines and family of Davis. Crossed over the Rainbow Bridge on May 19, 2013. Cybil was a wonderful companion, especially to her loving step sister Elke (in foreground at left), who crossed over the Rainbow Bridge just 10 days before. Cybil lived a long, happy, active life despite having epilepsy, which was controlled by medication. She was loved and adored and we miss her very much. 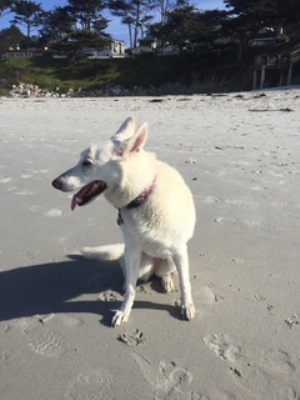 Cybil especially loved trips to Stinson Beach. 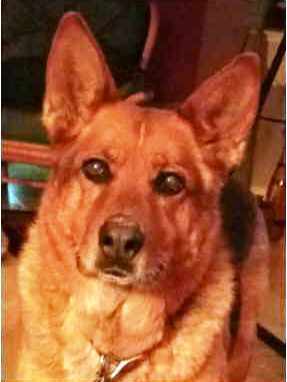 On November 21, 2012, Sharon & Peter Davies had to lay to rest their beloved GSD Zelda. So ended the reign of a wonderful dog with a heart of gold. Zelda is survived by three of the five puppies she gave birth to in the Sacramento City Shelter in April 2001, just prior to GSRSV rescuing the whole bunch days later. Two of those puppies--Newt and Shadow--are still with Sharon & Peter. The third pup, Ranger, is with Carol & Kevin Magee of Concord. Zelda's life was extraordinary, not only because she was such a great dog, but because of the people who she brought together in her life. 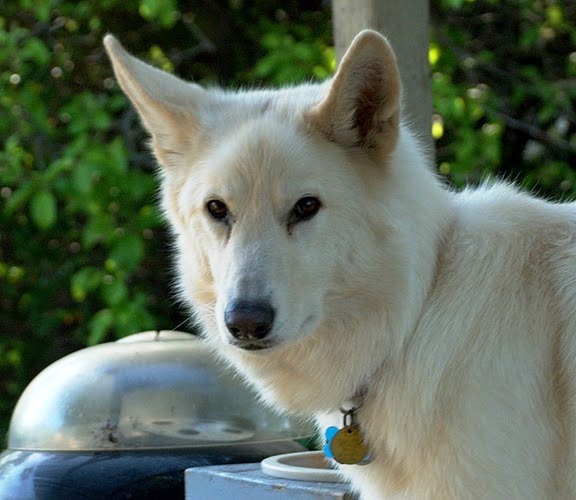 (Read the whole story of The Friendship Circle of Zelda and Her Pups here.) It was through Zelda that I had the good fortune of meeting Sharon and Peter, who originally adopted one of Zelda's puppies (Newt) in June of 2001. The Davies ended up adopting Zelda a year later, and then Shadow--who was given up by her original adopter--in 2004. 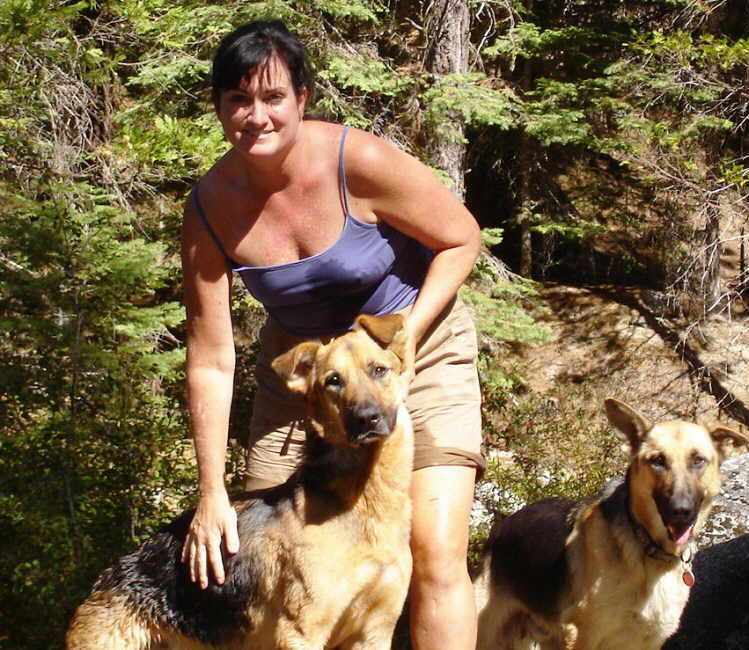 Thank you, Sharon and Peter, for adopting Zelda in 2002 and for giving her such a long, wonderful life with two of her five beautiful pups. May our friendship circle continue for years to come. Adopted June 18, 2005 by Alan & Joan Shattuck of So Lake Tahoe. "Barkley was a dear friend and a devoted 'male nurse' during some serious health issues we both had. We are still so very sad and miss him so much. Adopted February 3, 2010 by Kristi & Jason Wetsel of Cameron Park. Adopted May 20, 2001 by Cindy Perreira of Chico. 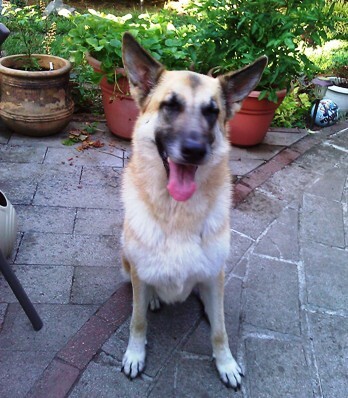 Adopted 8-4-11 by Cathleen, Alan & Matt Wadhams of Walnut Creek. Adopted 10-26-02 by Michelle Sanchez and family of North Natomas. Adopted May 27, 2005 by Ken Cook and Francisco Silva of Camino. 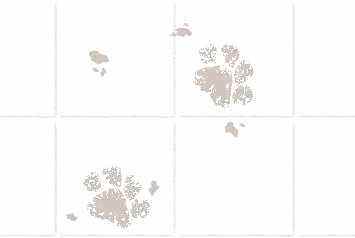 [From Ken.] We adopted Myka in May of 2005. When we visited Myka at GSRSV's facility for the “get acquainted” meeting, he actually tried to get in the car window to go home with us! I knew at that moment that a bond was established and Myka and I would do awesome things together. Myka quickly became what my sister coined my “Soul Dog”. He went to work with me everyday, he came to every chorus rehearsal each week, he seldom missed any event Francisco and I went to on the weekends. Everyone at Home Depot knew him and he was welcomed there with open arms. He loved everything Francisco and I did and was always ready for a car ride, boat ride, walk, wrestle, or his favorite activity of playing catch the ball. I honestly don’t think there is anyone who didn’t like our beloved pooch. He was a 110 lb ball of fur with the personality of an angel. 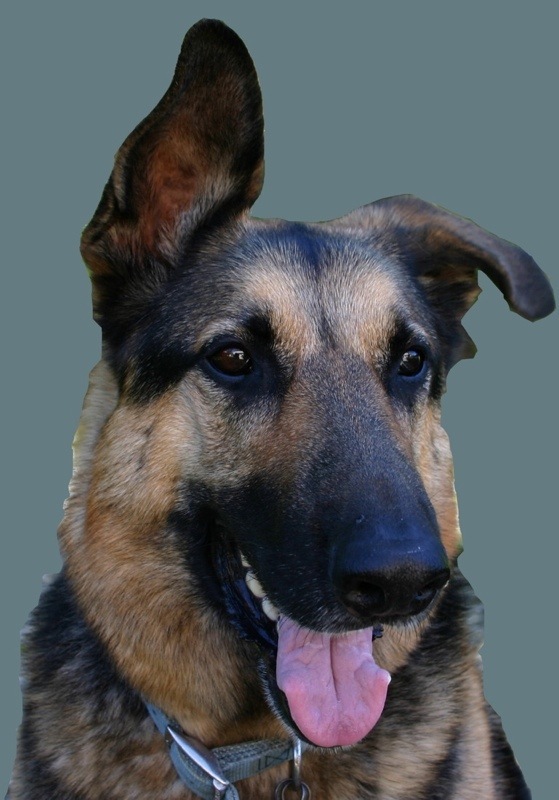 On Sunday, July 10th, we said goodbye to our friend Myka. He was a great friend/companion to both of us and the world’s best dog. We miss him a lot, but we know he is running around in heaven chasing his favorite ball. Myka’s life was taken far too soon and far too sudden from a cancer we didn’t know he had. He was only 8 years old. Myka, your dads bow to you and thank you for a wonderful 6 years you gave us! We love you and will always miss you. 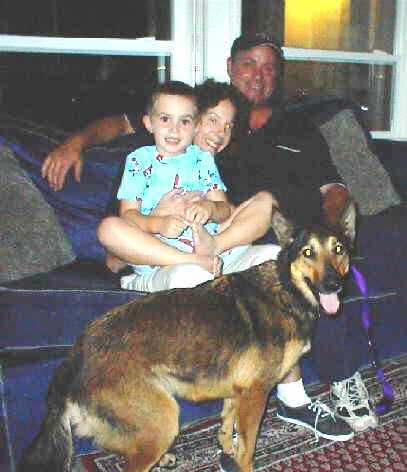 Adopted (as "Nick") August 30, 2002 by Terry and Gail Paggi of Rocklin. May 1, 2011, in Mokena, IL. Adopted February 2, 2005 by Carol & Kevin Magee of Concord. 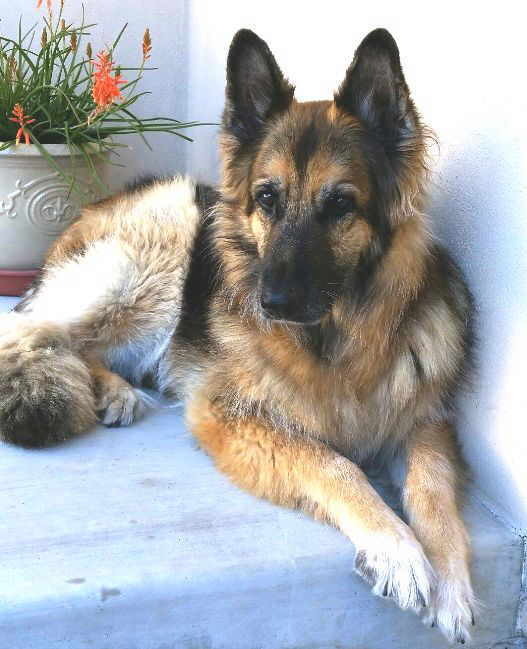 Beloved brother and companion of "Michaela"
Adopted by Greg & Sally Tylawsky of San Francisco June 2, 2002. Passed over the Rainbow Bridge December 7, 2010. 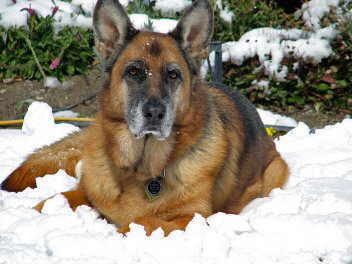 [From Greg:] "While I was enroute to the Station Boat today, Maya left us. She was 14. She had stopped eating her medicine for the past three days and it was her sign to us that it was Time. She died in Sally's arms after just a few minutes of deep breaths and motionless eyes. Sally told her to go, go, go...."come back soon." She was the best dog in the world. A long and honored life. She fought to the end until she could fight no more. Faithful to us till the end, obeying to the last breath. We took a family photo last night for Christmas around her bed. What miracles we see each day..... It is only at this time of year can we put into our small perspective the wonder of how we can deserve such love in our life. Adopted by Gil & Lori Topete of Sacramento June 18, 2001. Passed over the Rainbow Bridge October 8, 2010. "As heart-broken as we are, we are also so grateful and happy that Bernie was able to pass on her own terms, with her family by her side, all dreaming together. These pups are just so special! I know our hearts are forever touched by their special light. How lucky we are." Adopted by Henry, Maria, Daniel & Tommy Barba April 10, 2005. 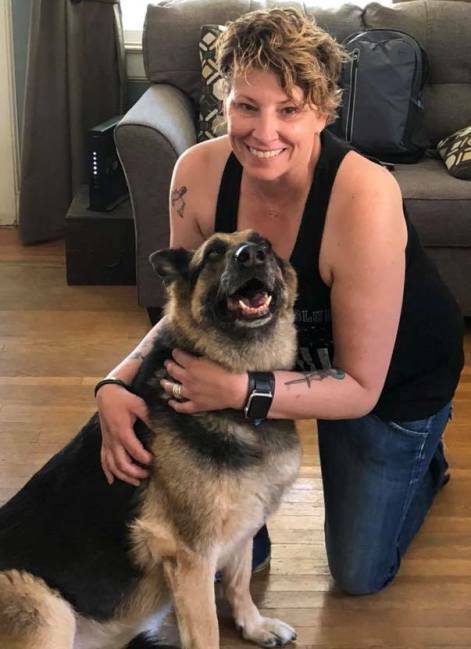 "She was such a great dog and she is so missed." We love you and will miss you dearly! Your unconditional love stamped a paw print on our hearts and we will always treasure our brief time with you. You taught us much about dedication, patience, commitment and friendship. Don’t worry about your girl Pearl..we know how much she meant to you and promise you she will live like a queen! May you rest in peace our loyal, devoted handsome boy! 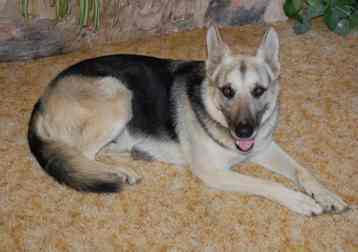 Adopted August 8, 2009 by Kelli Kreipe and family of Sacramento. "We will miss her more than I can express. I want to thank you for bringing her into our lives, even for such a short time." Adopted June 12, 2001 by Andrew & Nicole Donahue of Concord. Dante was one of five days-old pups who, along with their mom ("Zelda"), GSRSV rescued in April 2001 from the Sac City Shelter. 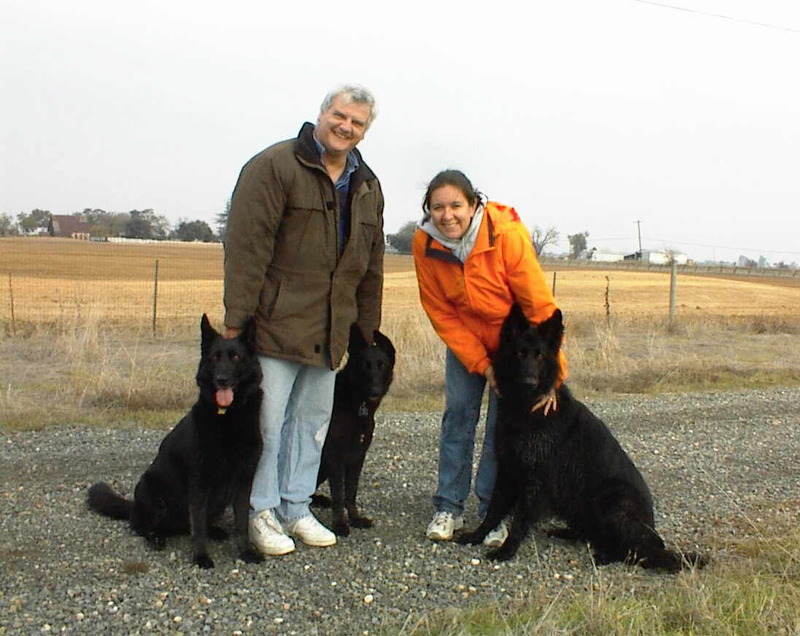 Sharon & Peter Davies, who adopted two of the pups and Zelda as well, still hold an annual birthday party for the pups. (See "The Friendship Circle of Zelda and Her Pups.") Sadly, Dante was the first of the pups to pass away. 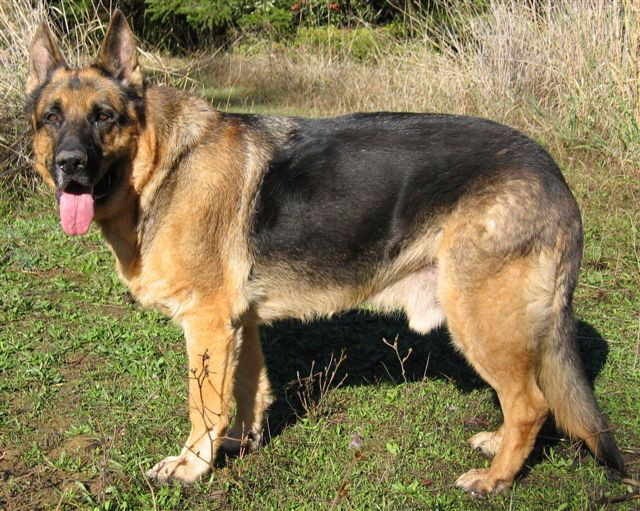 A gentle giant, Rhonan wanted only to be loved. For his last few months on earth, Dianne provided Rhonan with the love and attention he wanted all his life. He left this world a happy dog. Adopted June 23, 2005 by Cary Groth of Reno, NV. Cary provided Frieda Rose, an abused dog with myriad medical problems, the love and care she had never known before. Beloved sister and companion of "Matthew". 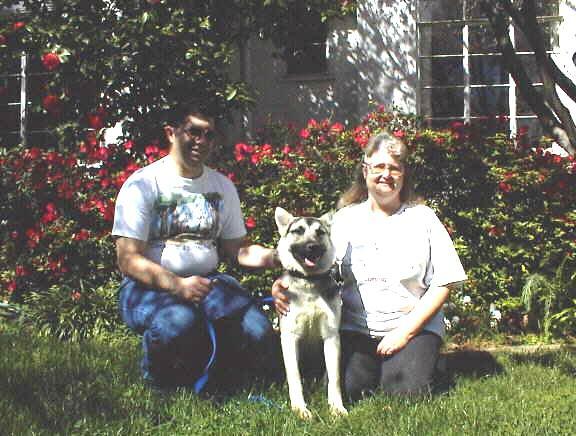 Adopted by Janette & John Nunez of Petaluma June 223, 2001. "The Best Dog Ever. We will miss you so much." Rescued by GSRSV in January 2005. Adopted by Kirsten McFall (who renamed him Leo) in May 2005, who unfortunately had to give him up in March 2006 due to circumstances beyond her control. Was with GSRSV until his passing on March 20, 2009. 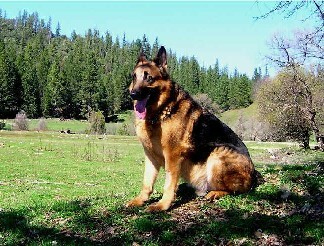 Adopted by Dom and Sue Biunno of Vacaville March 31, 2001. Passed over the Rainbow Bridge on January 29, 2009. Adopted by Robyn, Eric, Sam & Max Hubbard August 13, 2004. Adopted by Paul Woodward & Jenny Hall July 14, 2002. 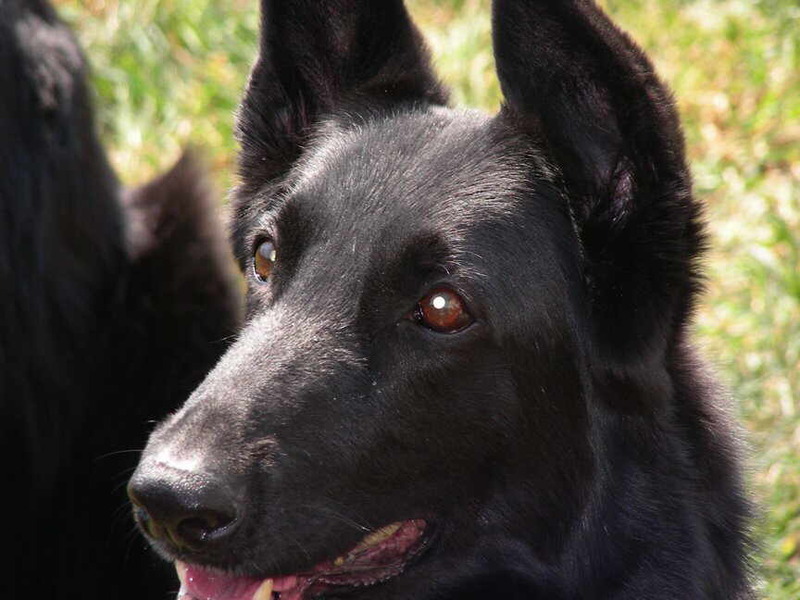 K-9 partner and lifelong friend of Officer Rick Osborn of the Sacramento City Police Dept. 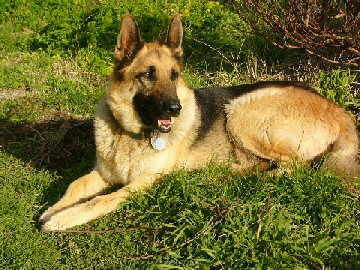 Companion to "Harley", adopted from GSRSV by the Osborn family October 2003. Passed over the Rainbow Bridge February 10, 2007. Adopted by Tom Guerra in August 1996. 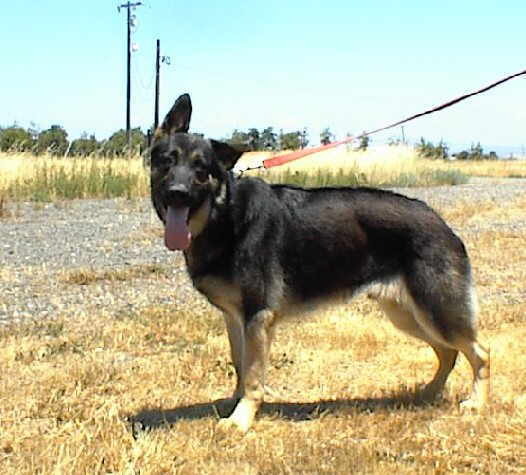 Companion to "Shasta", adopted by Tom from GSRSV May 2005. Adopted by Janet Wheeling & Henry Coufos July 3, 2004. Passed over Rainbow Bridge August 10, 2004. 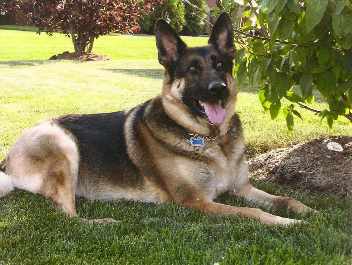 "Sage" was my #1 dog, the successor to my long-time German Shepherd friend Buddy. 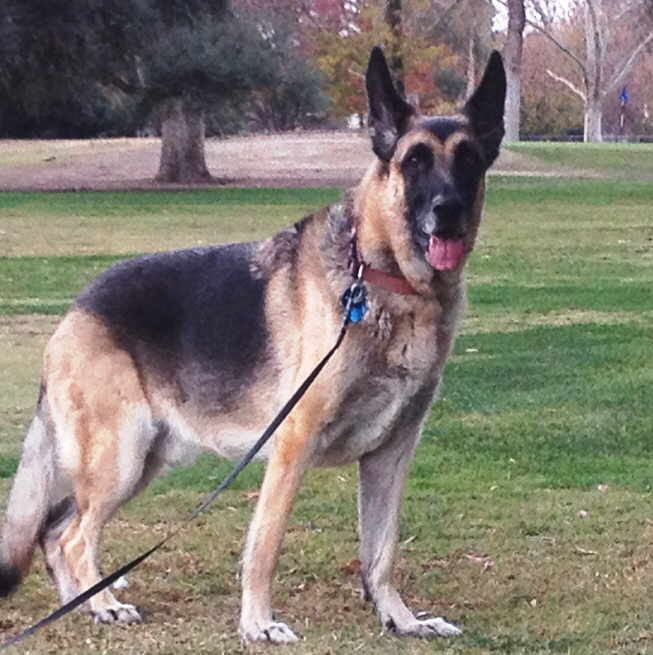 I rescued Sage from the Sac City Shelter on September 13, 2002. He was a mature dog (8- 10 yrs old), but healthy and full of life. 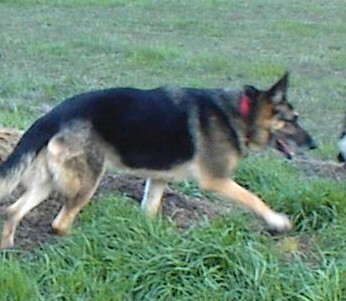 Originally, Sage was one of many GSRSV dogs up for adoption. However, he quickly won my heart with his devotion and adoring eyes. 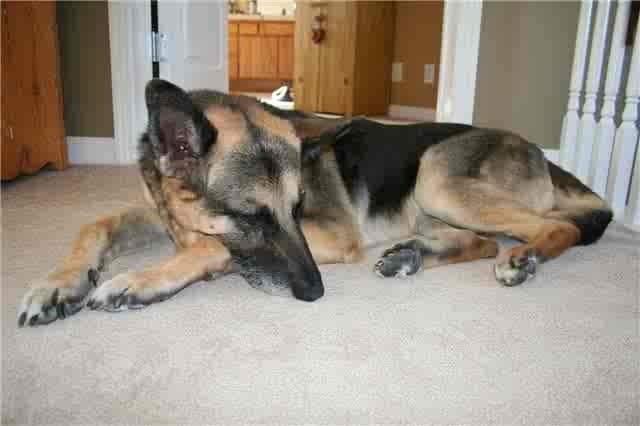 Soon, Sage was off the Website and in the house, sleeping right next to me. Sage was a model to break all the myths about adopting an older dog: he bonded immediately with me, was very obedient, and adjusted well to several different living situations. There were times when I had to remind myself that Sage had not spent his entire life with me. It was heartbreaking to lose Sage, but the happiness that dog brought me outweighed the heartbreak by any measure. 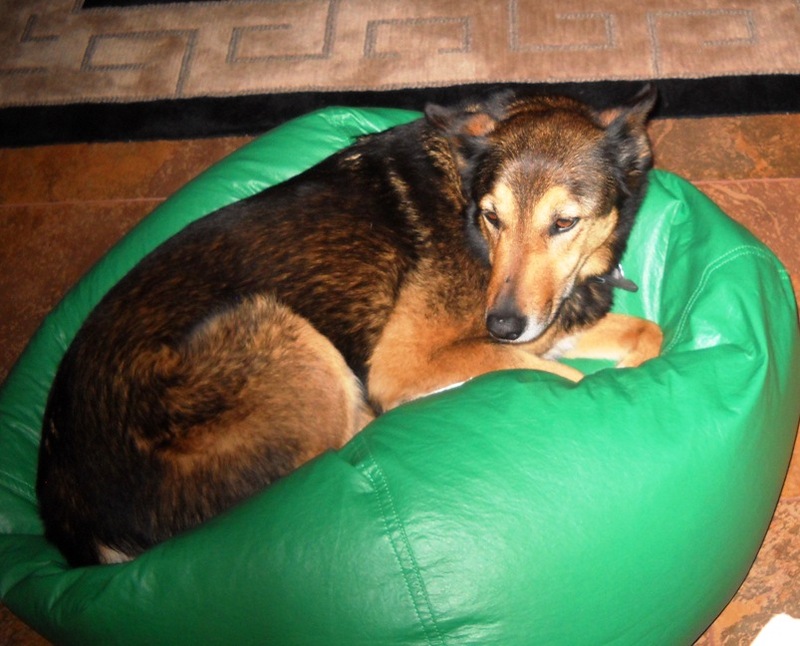 In Sage's memory, I ask this of all prospective adopters: PLEASE CONSIDER ADOPTING AND OLDER DOG. Old dogs don't stand a chance in the shelters, and rescue groups are hesitant to pull old dogs from the shelters, knowing that they will likely not be able to find them homes. 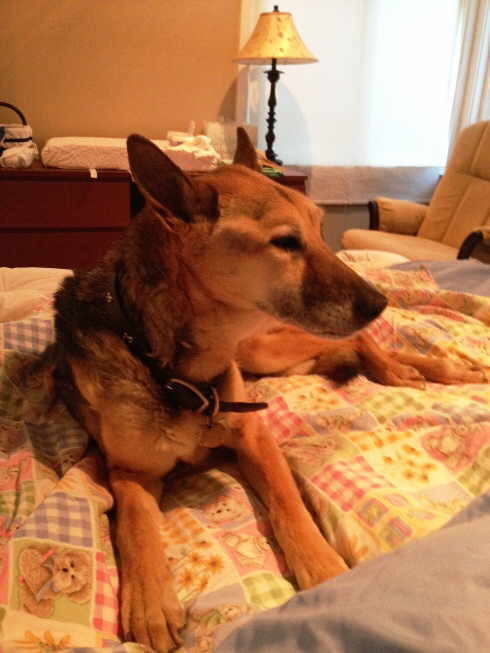 Old dogs are so grateful for the gift of love and a home--you'll never regret adopting one. So long, Sage. I loved you so much.